A celebrity in the materials world, Mark Miodownik dreams of colour-changing walls and looks at the future of renewable buildings. 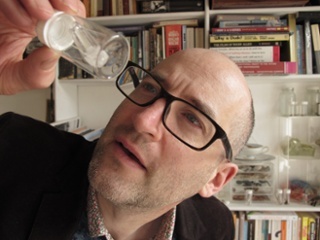 Mark Miodownik will never forget the day he became obsessed with materials. He was a schoolboy in 1985 when he was stabbed in the London Underground. “When I saw that weapon in the police station later, I was mesmerized. I had seen razors before of course, but now I realized that I didn’t know them at all. (…) its steel edge was still perfect, unaffected by its afternoon’s work,” he writes in his bestselling book Stuff Matters. Growing up, Miodownik turned his fixation into a successful career. He became a materials scientist at the University College London, the director of the UCL’s Institute of Making and a widely known speaker and BBC presenter. His research interests include biomaterials, innovative manufacturing, and sensoaesthetics, a science that investigates the intricate relationship between people and the materials they use. We asked Miodownik to share his views about the rediscovery of traditional materials in modern architecture, and how tomorrow’s buildings will cross the border between new and old technologies. Do you think there is still value in using wood, straw, wool, or other traditional materials for buildings? I don’t see being “traditional” as a value per se. The choice of materials has to be assessed with modern criteria, which include sustainability and energy consumption. If you ask me whether traditional materials are appropriate for modern buildings, I think the answer is yes. Partly because traditional materials have a portfolio of properties that are sometimes better than anything we have created recently: wool, for example, is a fantastic insulator. Partly because it’s the whole ecosystem that matters. In the old days, the building materials we used were part of the landscape, and they were easier to recycle. New materials are not usually like that. When it comes to sustainability, traditional materials are often more efficient. Are You Going to Solar Power International in Las Vegas This Month?